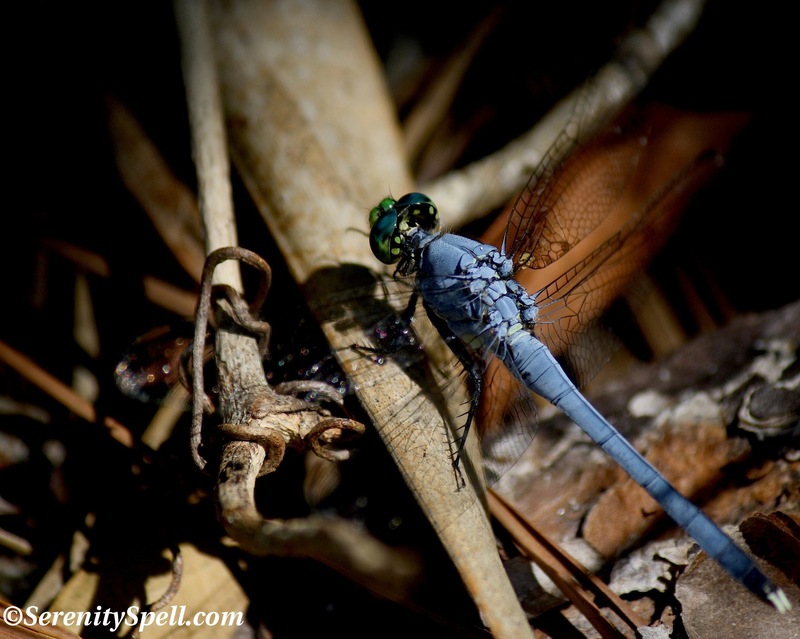 When we were at Kissimmee Lake on Sunday, we must have seen 100 dragonflies – just love them! Me too! Dragonflies are the best! And their eyes – awesome! No, they do that! I meadow hawk followed me out of the woods today. He kept landing in front of me with a good pose. I took nine photos of him. These are beauties! I am in southern Maine, and have seen ten times more dragonflies this season than normal. How about you? Great photos! I’ve never seen one of that periwinkle color. Thanks so much! I love the periwinkle-colored dragonflies… I’ve been seeing more of them in general this year, for whatever reason (I’m sure there’s one!). 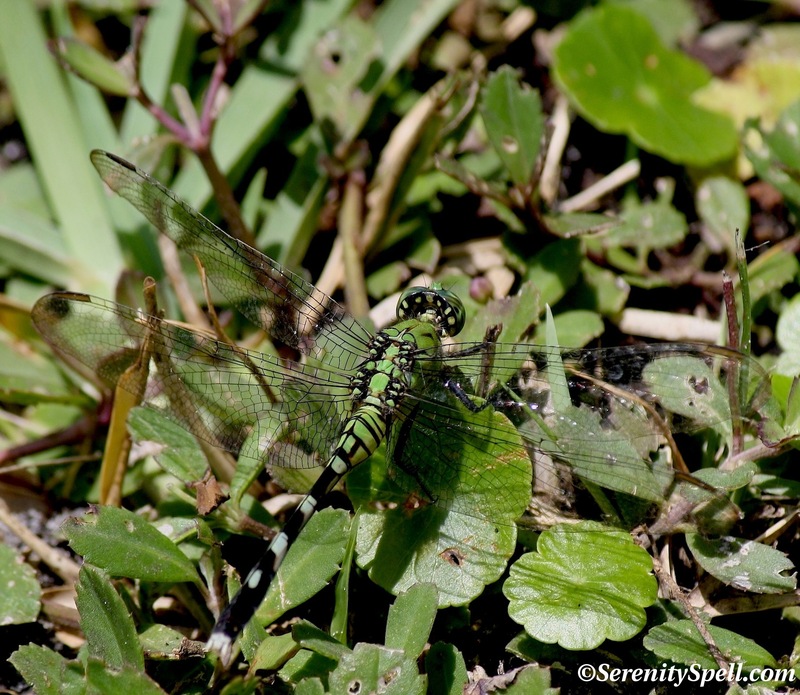 AMAZING – up close and personal with dragonflies! Thanks so much! Heh… I STILL pretend (think?) they’re fairies!! I’ve never heard of “mosquito hawks,” interesting! I always have to look closely to ensure that these aren’t Damselflies — I think it has to do with their wings? But like you said… BEAUTIFUL buggies, regardless! I do believe you are right – love is a many splendored thing (as they say) and not many a soul can boast at attaining the love of such a beautiful creature!!!! Beautiful bugs! And nicely captured, too. Incredible shots as always. Love the green on green. Thanks so much!! As much as I love periwinkle, I adore the green of the dragonfly against the lush ground-cover… I had to tiptoe around them, there were so many! I like that green one! LOL ! The grass is always greener on the other side right? Thanks for the bop on the head, we both are quite lucky! No bops from me. That green one — a mosaic. Nature The Artist. Must tell my mosaic friend about this. That’s such a great observation… He’d make a BEAUTIFUL mosaic!! Great eye! Thank you! I’ve been thinking of mosaics because my friend does them. Gave her the link to this post. Hope she checks you out & ends up subscribing. I recommended! You are great. Aw, thanks so much! I adore mosaics… Tried it once YEARS ago, and gave it up. I didn’t have the patience it required! !